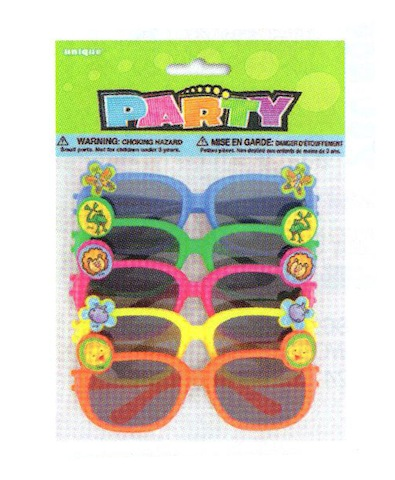 These kid sized sunglasses are great for the parties held outdoors! Cute little characters decorate the edges of the frames. Assorted colors. Each pack contains 5 sunglasses.